Need a clean, quiet, versatile forklift for your indoor lifting operations? Lencrow Forklifts have the right electric forklift to suit your job. Electric forklifts are most commonly used for indoor materials handling and are well suited to warehouses or sites with flat, concrete surfaces. Electric forklifts are made primarily for indoor use and are designed to suit a range of different handling applications. They are powered by deep cycle batteries that allow for long hours of operation, and although they require charging between uses, electric forklifts are a much more environmentally friendly option than their diesel and fuel-operated counterparts. Lencrow Forklifts stock a wide range of new electric forklifts from trusted names such as UniCarriers, EP Equipment and Xilin. This includes the 3 wheel CPD15-20TV range and 4 wheel CPD-F range by EP Equipment and the TX, BX and FB Series by UniCarriers. 3 wheel electric forklifts have smaller turning circles, offer more maneuverability and are a more suitable option in warehouses with narrow aisles, smooth floors and high racking. 4 wheel electric forklifts offer better stability when turning and are better suited for yard and loading bay work, with a higher lifting capacity of up to 8000 kg. A range of optional features to suit your specific materials handling requirements. Manufactured to suit a variety of industrial handling applications such as food manufacturing, warehousing and order picking. Zero emissions for a safe indoor working environment. Little or no noise during operation. Lower centre of gravity making them more stable. Much tighter turning radius meaning greater storage capacity and less potential for damage. Greater rear visibility with no propane cylinder mounted on the back. At Lencrow, we offer the most extensive range of materials handling equipment in the country. 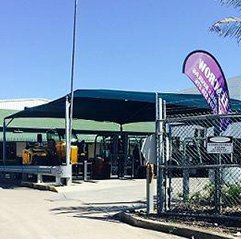 As well as selling new forklifts in all capacities and for all applications, we also sell second hand equipment and dry or wet hire forklifts across Australia. Our success is due to our unwavering focus on providing our customers with quality and value for money, and everything we do is backed by superior after sales service and support. 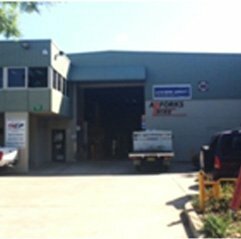 With five branches and more than 60 experienced staff, we have the resources to provide Australian business with materials handling solutions that go above and beyond. Take our preventative maintenance programs for example. Our computer-aided Planned Preventative Maintenance System (PPMS) to tailor a unique servicing plan for your forklift to keep your running costs to a minimum. 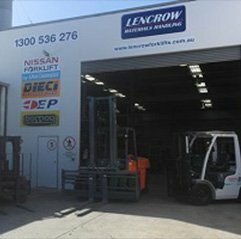 At Lencrow, we still embrace the same core values we started with back in 1976 and we will continue to strive towards ensuring a sustainable future for Australian industry by providing an all-inclusive, one-stop materials handling solution. If you want to learn more about any of our electric forklifts, we invite you to browse through our extensive online range, or you can give one of our friendly consultants a call to discuss your requirements on 1300 536 276. You can also get in touch with us at any time by filling out our online enquiry form, and one of our experienced staff will get back to you as soon as possible.